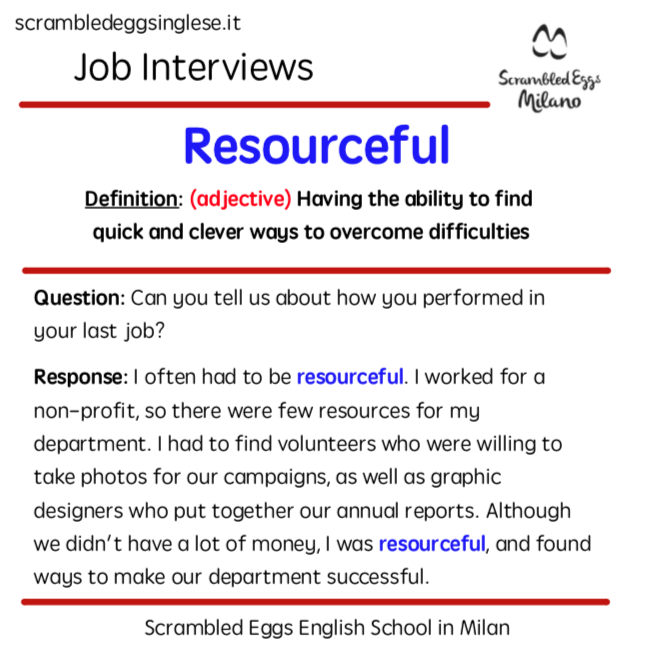 Have an interview soon? As per usual, Scrambled Eggs is here to help! If you’re even a little self-motivated, it’s a great way to describe yourself to impress potential bosses. They’ll definitely love the next description too! 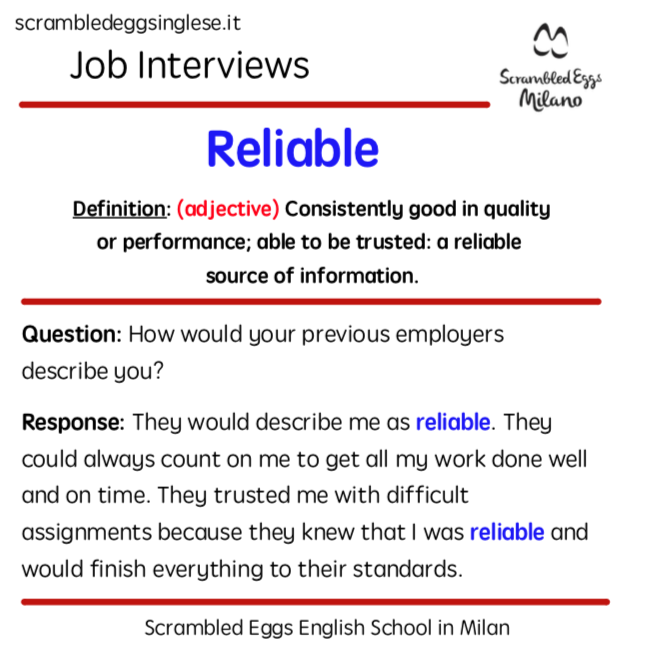 You can be sure that Scrambled Eggs’ teachers are always reliable! That’s because we’re always here to help you with any language problems. For example, do you know the next adjective? 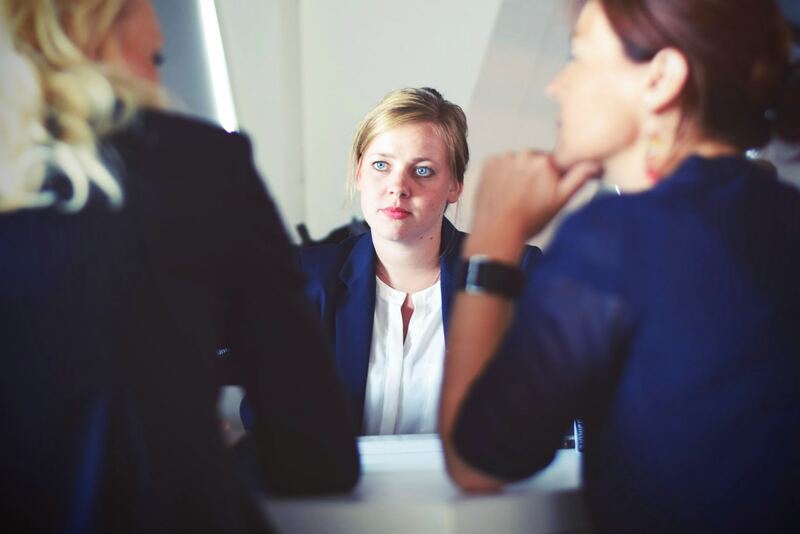 So, there are our top 5 business interview adjectives. Can you use them all correctly? Do you think they’re appropriate for you? 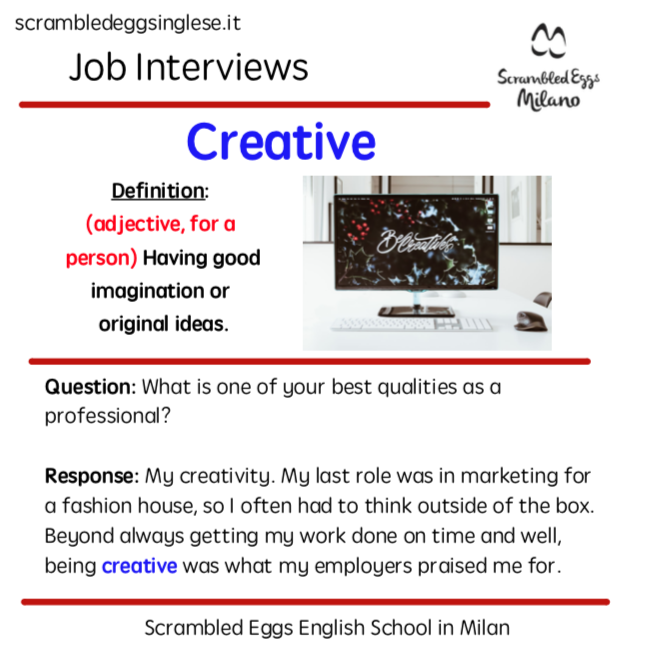 One thing’s certain, if you can drop these words into your personal description during an interview it’s sure to impress the people sitting opposite you! If you found this blog post useful, check out our other posts on this page, and don’t forget to like us on Facebook and Instagram for more useful content! Se vuoi leggere questo articolo in inglese, clicca qui. Si sa, molte canzoni raccontano delle storie e per questo la molte parlano di eventi avvenuti nel passato. Quando esprimiamo un rimpianto o come avremmo voluto che le cose fossero avvenute nel passato, in inglese utilizziamo il Periodo Ipotetico di Terzo Tipo (3rd Conditional). Iniziamo con l’iconica Grace Jones e ascoltiamo la prima strofa della sua canzone. Chi non ama Adele? Siamo sicuri che non c’è persona al mondo che riesca a trattenersi dal battere il piede a tempo quando inizia questa canzone. E sai cosa? Anche qui potrai trovare degli esempi del Third Conditional! 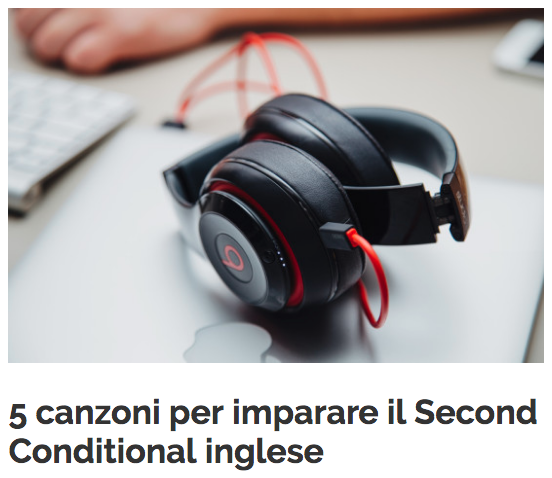 Si, ancora Adele, ma leggi il titolo di questa canzone: un perfetto esempio di 3rd Conditional! E tutto il testo è pieno di altri esempi interessanti. Qui Adele cerca di sembrare americana il più possibile, per esempio usando l’espressione “woulda” al posto di “would have“. Ecco un altro pezzo di musica contemporanea. Dopo aver finito di litigare con Spotify nel 2017, abbiamo potuto iniziare a sentire questa canzone di Taylor Swift. 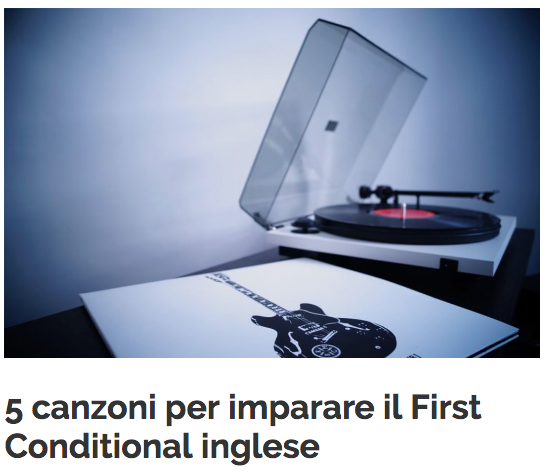 Leggi il Third Conditional nel titolo? Hai trovato degli esempi nel testo? Mettiti comodo e buon ascolto! Ma facciamo un passo indietro e riscopriamo questo un gruppo pop/rock britannico famosissimo negli anni 60/70: i The Hollies! Formatosi a San Francisco nel 1973, i Journey sono conosciuti per la loro famosa hit “Don’t Stop Believin’’. Ma questo gruppo è molto di più! Ecco infatti un altro loro pezzo molto utile per imparare la grammatica. To help you practice reading in English, we’ve written another article! Read all about one of Edinburgh’s top places, and then try our quiz below to test yourself. The National Monument of Scotland is one of the most famous attractions in Scotland’s beautiful capital city – Edinburgh. It’s situated on Calton Hill, which is in the city centre, slightly east of the popular Princes Street (the most important shopping street of Edinburgh). 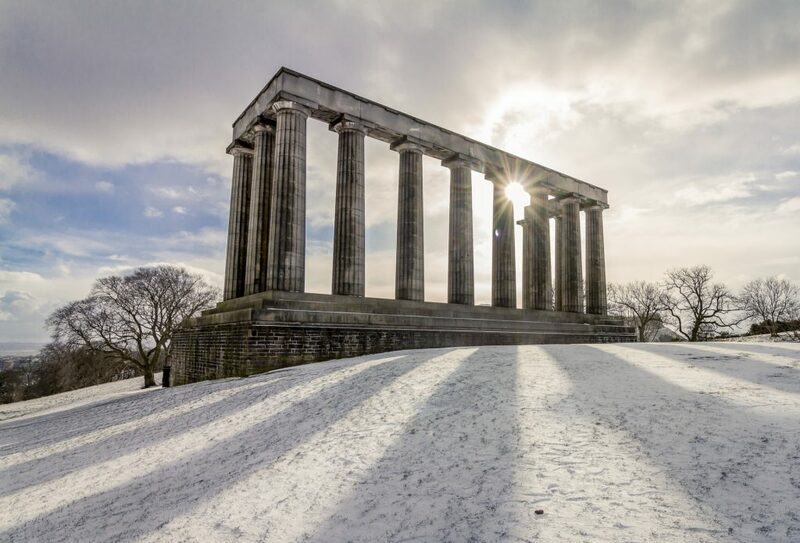 Calton Hill can be seen from all over the city, which means that the National Monument is one of the most recognizable sights to see. It was designed during 1823-6 and based on the world-famous Parthenon in Athens, Greece. However, after construction started in 1829 the project very soon ran out of funds and so it was left unfinished. While there have been many ideas since then about how to finish the work, it has been left in its original state because of the cost and also primarily a lack of local enthusiasm. The monument is Scotland’s national memorial to the soldiers and sailors who died fighting in the Napoleonic wars. However, because of it’s strange unfinished appearance and iconic status, it’s much more famous nowadays for being a fantastic place to take incredible photos of the picturesque city, enjoy a walk with friends or chill out on a sunny day. For anyone visiting Edinburgh, the monument should be at the top of their to-do list, along with the other attractions on Calton Hill such as the Nelson Monument, the Dugald Stewart Monument and the Robert Burns Monument. After reading this text, click here to take the test and check your comprehension! Great job! If you enjoyed this post, check out some of the other posts on our website and keep practising your English! Also, don’t forget to like us on Facebook and Instagram! False! It’s actually a little to the east of Princes Street. False! It can be seen from many places in the city and is very recognisable. The National Monument of Scotland was based on the Pantheon. False! It was based on the Parthenon in Greece, not the Pantheon in Rome! The sculpture wasn’t finished in 1829. True! It’s never been completed. False! It’s primarily because of the opinion of local people that it was left incomplete. True! It’s still a national memorial to all Scottish people killed during the Napoleonic wars. True! It’s on top of Calton Hill, a perfect place to relax on sunny days. True! The hill provides amazing views of the beautiful city, perfect for taking photos.